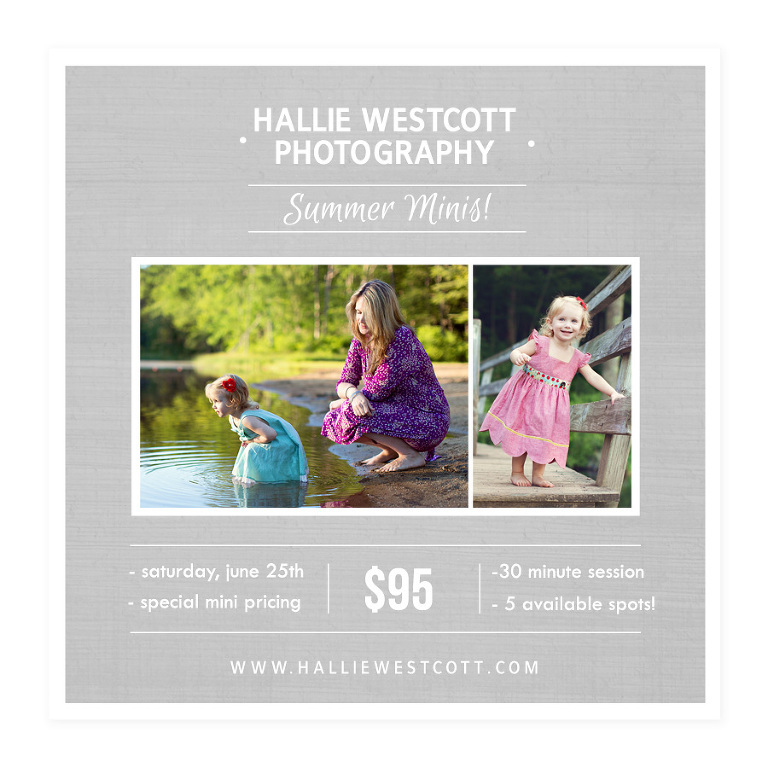 Summer mini sessions will be held Saturday, June 25th at Wickham Park in Manchester, CT. These will more than likely be the only minis we do this year. Please choose the time slot below that best fits your schedule. Further instructions will be sent to you once your session fee has been paid.